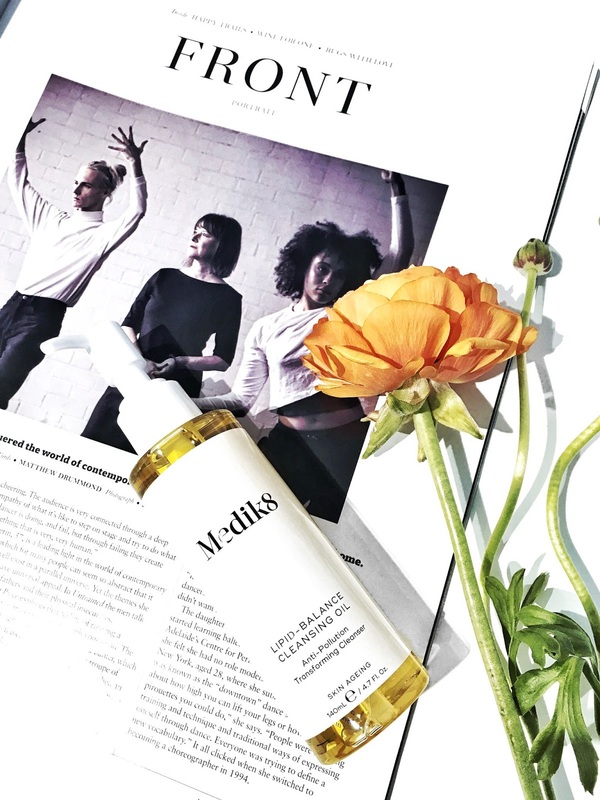 The Lipid Balance Cleansing Oil by Medik8 works to purify, moisturise and revitalise the skin. This is an anti-pollution transforming cleanser that works to dissolve dirt, oil and impurities on the skin where it helps to leave you with cleansed and refreshed looking skin. For example, I tried this Cleansing Oil out to remove my make-up (including stubborn waterproof mascara) and it did an amazing job in looking to remove my make-up. It doesn't irritate or dry out the skin which is essential when it comes to a cleansing oil. When I tried out the Cleansing Oil, I found this product to be very gentle on the skin. The idea of the Cleansing Oil is that it uses a combination of nourishing, healing, cleansing and protecting active ingredients. As it works to cleanse the skin, the Cleansing Oil offers anti-pollution benefits and antioxidant protection throughout the day. After my cleansing routine, my skin felt very refreshed and clean hence it's effective in removing any dirt, oil and impurities on the skin. The Lipid-Balance Cleansing Oil by Medik8 RRP $52, via www.medik8.com.au or Advanced Cosmeceuticals. Have you come across any cleansing oils that you love?